Think and Grow Rich Today is a book that not only presents Napoleon Hill’s classic interpretation on leadership, self-motivation and individual achievement, but also presents a panel of contemporary authors who have enjoyed success using Dr. Hill’s timeless principles. After interviewing industrial and business leaders of his day, Dr. Hill was convinced that the average individual could achieve success with the right mindset and actions. In the years that followed his original Think and Grow Rich publication (1937), his teachings have proved to be a goldmine for entrepreneurs who have read, learned and adopted many of his concepts. The Celebrity Experts® in this book are from such a group. They have followed his teachings, applied his principles in our New Economy and have enjoyed success. Their stories have that taste and smell of success that most of us dream of. The exciting part is that these Celebrity Experts® are able to inform, guide and show you how they have used his methods in the New Economy to achieve true success in many areas. These are the people who have been tried and tested! They will be your coach. If you take the time to read this book, in the words of Napoleon Hill: Whatever the mind of a man can conceive and believe, it can achieve. 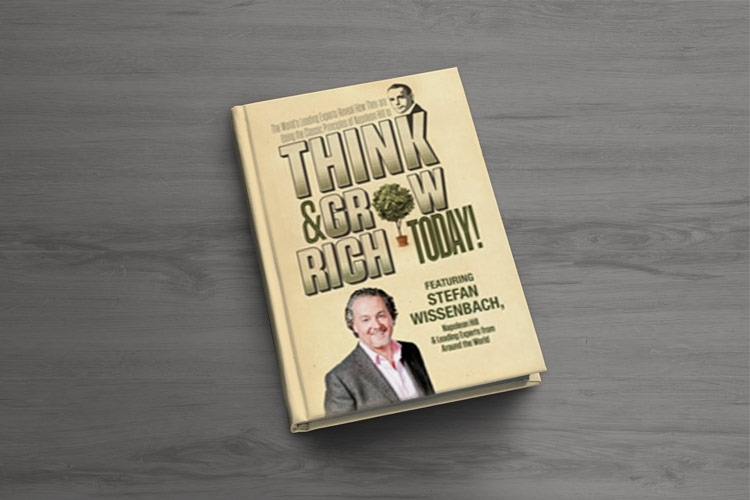 There is no better time to think and grow rich today!